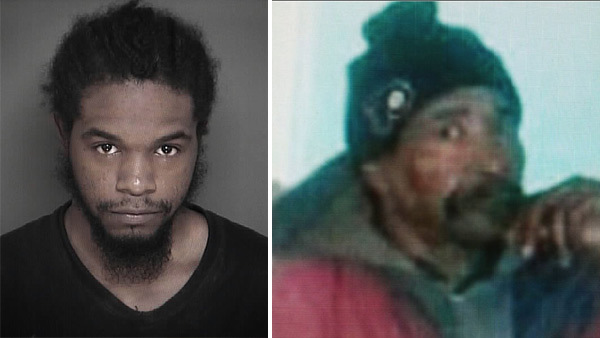 SWEDESBORO, N.J. (WPVI) -- An arrest has been made in the beating death of a homeless man last year in Swedesboro, New Jersey. Sylvester "Buttons" Combs, 60, was found beaten to death in April, 2016. On Wednesday, Gloucester County Prosecutor Sean Dalton announced the arrest of 23-year-old Malcolm Tyson for the crime. Tyson faces murder and weapons charges. Combs' body was discovered in a trailer at an abandoned pallet factory in town where he sometimes stayed. Investigators say Combs was beaten to death in that trailer by Tyson. Tyson was also charged in connection with an arson that occurred nearby a few days earlier. Evidence from that investigation led to the charges in Combs' death, Dalton said. Combs was described as a friendly man who was well-known in the community. "You would see Buttons walking up and down the street or sitting on a park bench, but he didn't bother anybody," Mary Beth Rambler of Swedesboro told Action News last year. Community members rallied together to raise money for his funeral and a reward.